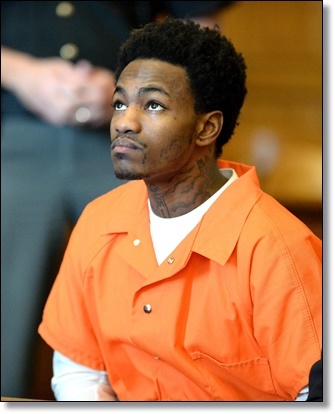 Kelontre Barefield, 23, received the sentence after pleading guilty to charges related to the police dog's death and other charges in an unrelated robbery case, a spokeswoman for the Stark County Clerk of Courts told ABC News today. Barefield's attorney, Steven Reisch, didn't immediately respond to ABC News' requests for comment. 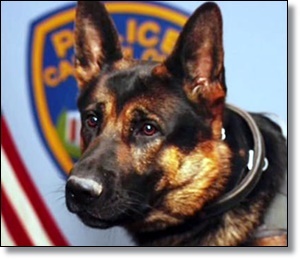 Jethro was killed in January after suffering multiple gunshot wounds while responding to a burglary at a grocery store, according to Officer Eric Stanbro, head trainer of Canton PD's K-9 unit. 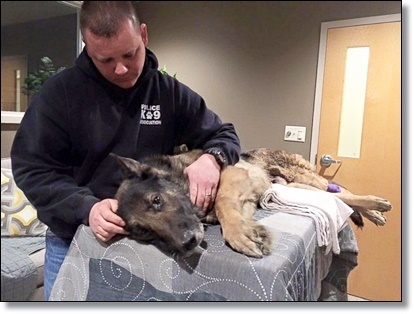 The death of the 3-year-old German shepherd devastated Canton PD Officer Ryan Davis, who had been Jethro's partner since he was an 8-week-old puppy. In March, an 11-year-old girl donated all of her allowance money to help get bulletproof vests for all of the department's dogs. "Officer Davis has received 2,000 letters since Jethro's death, and he was catching up with them over the weekend," Stanbro previously told ABC News. "He came across this girl's letter and donation, and it really touched him." 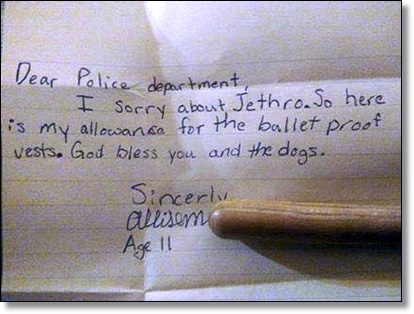 In the letter, an 11-year-old girl named Allison tells Davis, "I sorry about Jethro. So here is my allowance for the bulletproof vests. God bless you and the dogs." An 11-year-old girl named Allison donated her allowance money to the Canton Police Department to help get bulletproof vests for dogs in the department's K-9 unit. On Wednesday, the Canton PD's K-9 Unit shared a video of some its dogs and handlers on Facebook "[i]n honor of Jethro's killer being sentenced to 45 years in prison." To video video, click HERE.